Sam Bennett: What’s expected from the Irish star in this crucial year? 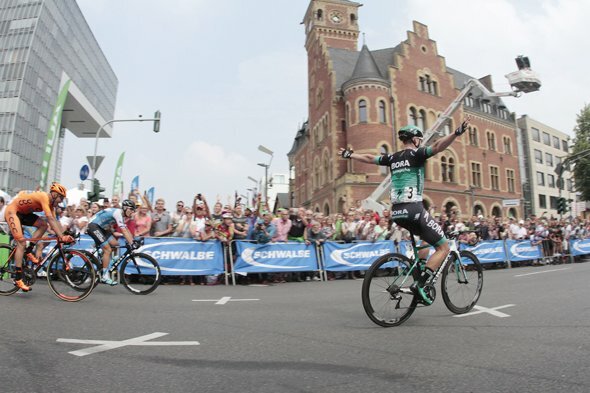 Sam Bennett has been streets ahead in many of the races he has won in recent years. He is now facing into a crucial year during which a change of team seems inevitable and success is more important than ever. All five Irish WorldTour riders will be looking for new teams or negotiating with their current employers in the coming months. Some have signed deals for just one year while the others are in the final year of their contracts. So they would all dearly love to hit the ground running in the next few months. Five very different riders; what’s in store for them and what should be expect from them during the road racing season ahead? We’ll start with Sam Bennett. One would expect the Giro to be the race Bennett would be looking to in the first half of his season. But his team has decided not to send him despite three stage wins last year. However, Bennett says he must keep the head and carry on; try to win races and stay professional. The Tour seems out for him as Peter Sagan will be Bora-hansgrohe’s main man in France of the three weeks in July. However, the Vuelta is still a possibility. And even if Bennett is rightly bitterly disappointed at riding neither the Giro no Tour, it seems inevitable he would win stages at the Vuelta if he is selected to ride it. The one fly in the ointment with that neat plan is that Bennett’s contract with the team is ending this year. And it seems certain he will have inked another deal with a rival outfit long before the Vuelta. Riders leaving teams are often no selected for the Vuelta; with squads opting to give the opportunity to riders who are staying on with them. So, depressingly, it is possible Sam Bennett will ride no Grand Tours this year. However, there are still plenty of opportunities. And because most riders on the transfer market agree new contracts long before the Tour in July, Bennett needs success early this year. His pedigree as one of the fastest men in the world is now well established of course. But winning big races at the same time a new contract is being agree is vital for all riders. It strengthens their hand, especially when it comes to salary, and that’s why another Giro appearance and further wins there would have been perfect for him this year. Only the first races are set in Bennett’s programme so far; Vuelta a San Juan in Argentina and Paris-Nice. It will be crucial for him to do well in both and he can win stages in the sprints in both. He has never ridden in Argentina before and this year the provisional start list includes his team mate Sagan as well as Fernando Gaviria (UAE Team Emirates), Mark Cavendish (Dimension Data) and Álvaro José Hodeg (Deceuninck-Quick Step). It means a win there will come with a status much bigger than the race itself carries. A victory would also be a big confidence boost; always so important for sprinters early in the season. Of the seven stages, two – including the opener – look like nailed-on sprint finishes. There are also two more with some climbs that Bennett may cope with but the other fast men won’t. In Paris-Nice, the first three stages look like ones for sprinters, with a cat 3 climb crested about 35km from the finish. Aside from those first three chances for the fast men, stage 6 features several climbs in the last half of the race, which Bennett just might cope with depending on how the race pans out. Bennett has spoken of riding Milan-San Remo, though it’s not exactly clear how his Giro omission may impact his plan to ride the Italian monument. It is definitely a race he could win; Cavendish’s name on the winner’s roll proving that point. He may need to be in a team line-up that doesn’t include Peter Sagan but that only means future years present better opportunities in that race rather than this season. Without knowing his race programme beyond that; it’s difficult to predict Bennett’s season. But as a sprinter, the obvious goal for him is to win as many races as possible. He has a fantastic chance in both Argentina and Paris-Nice to get the ball rolling. And as his past success has shown, he is a rider who thrives on momentum; becoming rampant at the Giro last year and the Tour of Turkey during the past two years are absolute proof of that. Two things are certain. Firstly, with the results he has already achieved, he will count himself in the mix for any race where the sprinters have even half a chance. Secondly, he will be hungry to impress from the start this year with contract talks on the agenda. An exciting and hopefully prolific year awaits the 28-year-old from Carrick-on-Suir.